Today’s prompt suggested making a puzzle. Given that my theme is “words,” a crossword puzzle seemed in order. 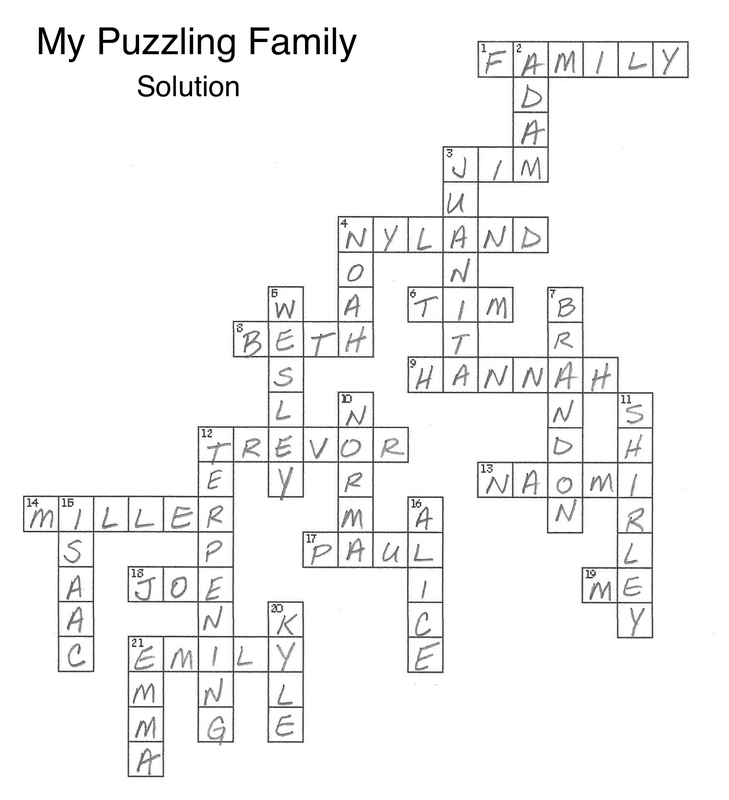 Teachers no doubt know of several websites that generate custom puzzles, quick and easy. Simply choose your puzzle type (crossword, word search, cryptogram, etc. ), enter your list of words and clues, and click the button for instant results. I like Discovery Education’s Puzzle Maker. 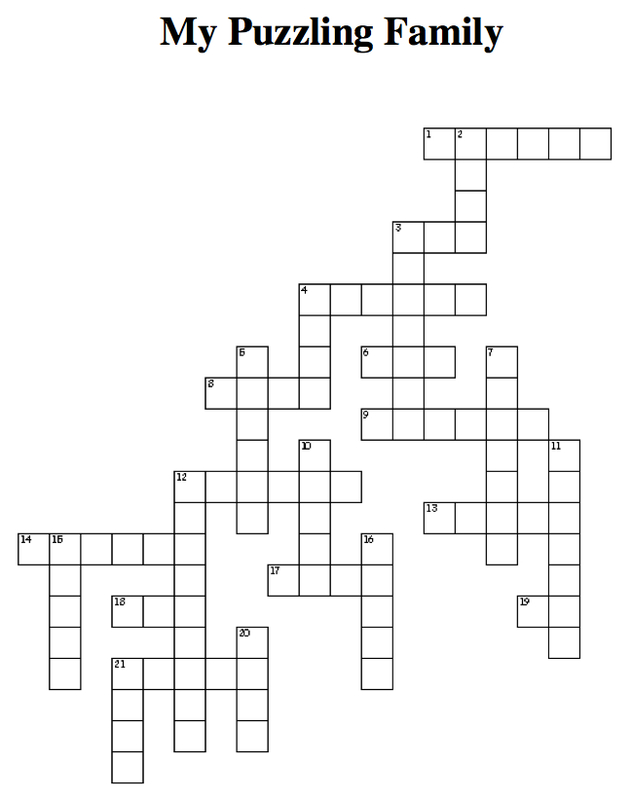 If you know me well enough, try completing this crossword, which features names from the nearest branches of my family tree. Hannah, age 10, only needed help with the names of her grandfather and great grandmother (the only characters she has not met, from this particular cast). If you must cheat, you’ll find a link to the solution below.